A child, I used to say my prayers. To whom, I still have to understand. I took to keeping silent, listening rather than imploring. and for winged creatures, as if wanting to mingle with them in flight. whereby our mind and time derive existence from each other. The universe alone exists per se and is—as such—unknowable. 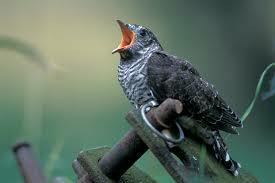 Then the cuckoo's cooing ceased, I felt the urge to find some other bird to listen to. The hawk appeared—I watched it land and soar but couldn't hear its call. Years succeeded, seasons changed, and so did attitudes. Till time and aging didn't mean a thing, nor did the birds I chanced upon—no more. I stopped believing this or that and paying heed to scientists, thinkers, wise and holy men. the cuckoo and the hawk, and mostly those I had avoided listening to. Suddenly time itself began to speak. its assuaging cuddle sweeter than a lullaby. precariousness is but an artifact by the finitude of the human mind. Time will never be through since it never had a beginning. We will because we did. We start to perish the moment we’re born. Hence—do we live at all? Is what we're let to have a glimpse of worth the sorrow and the dread? keeps us alive, has us make our lifespan count. a worthwhile life requires temporality. I finally felt a bird myself, though neither a cuckoo nor a hawk. always thirsty but quenched with just a drop of water, as small as it may but mine. Water is life, and life is water slowly evaporating—they say. However, it mustn’t be like that—says I. That is—why fear it will eventually run dry? Don't keep watching your water—drink it, and it will never dissolve. and perpetually stares into itself. Poet’s Notes: This poem is about the elusiveness of time, our limitedness, inscrutable thirst for its opposite, and attraction to water, desire to fly, fascination for bird calls and songs, i.e., for all kinds of swindlers, and God, and more--one big metaphor of life's ventures, twists, and lures.